This is the dish that made me fall, utterly head over heels, for aubergines. Before I had this, I always shoved the dark, shiny-skinned veg to one side,﻿ probably after one too many gastropub-style Moussakas in the early 2000s. The recipe is Jamie Oliver's, so I won't reproduce it here, but you can find it on his recipe page. 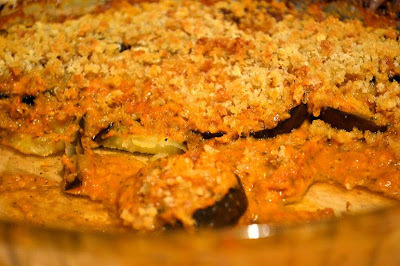 You basically whip up a quick and easy tomato, garlic and basil sauce, blend it until smooth, and layer it, with griddled or fried aubergine slices in an ovenproof dish, between snowy dredgings of Parmesan cheese. A scattering of breadcrumbs on top (I blitzed the end of a ciabatta for mine) and you're done. Then it all just goes in the oven to bubble away gently for 30 minutes. I'm going to cook this again, and it was so good I had to tell you about it. Aubergines on their own have a kind of musty flavour, and the centre can go soggy. But in this sauce, everything works so well. We had leftovers and I think they were even better heated up after a day in the fridge. Jamie says that this can be eaten cold - and I did have a sneaky spoonful from the fridge - but I have to say it's much better hot. 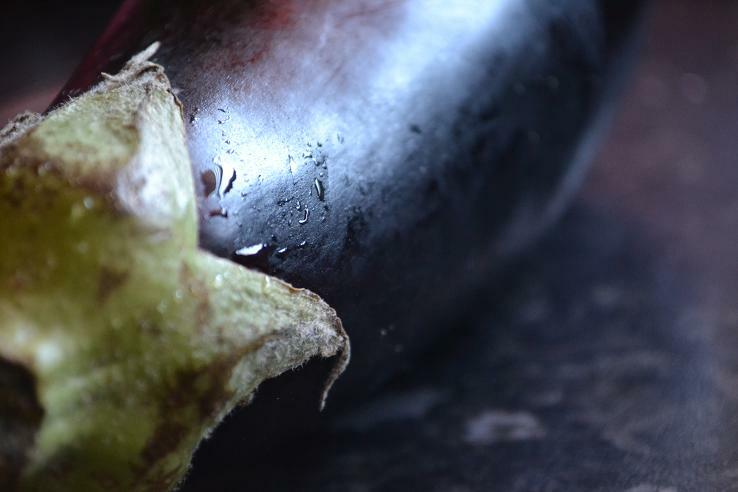 If you think aubergines are boring, soggy and a pain to cook then try this. I am quite sure you will love it! 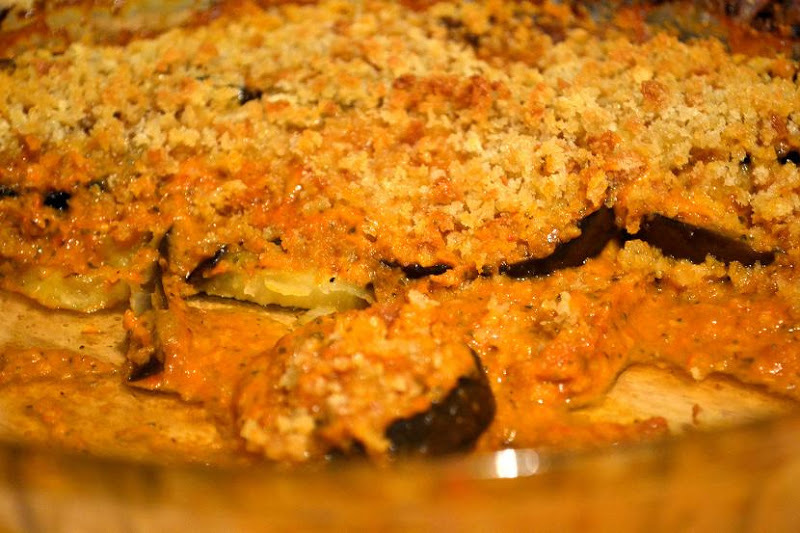 What are your favourite ways to use aubergines? I want to hear about them! Oh that looks so tasty! I'm an offender of only using aubergines in moussaka, but I think the next one we buy will be destined for a parmigiana now! Same way I discovered my love of aubergines, I also had the same response from the kids and meat loving hubby...I now make my own variations. It's quick, heathyish and so yum!